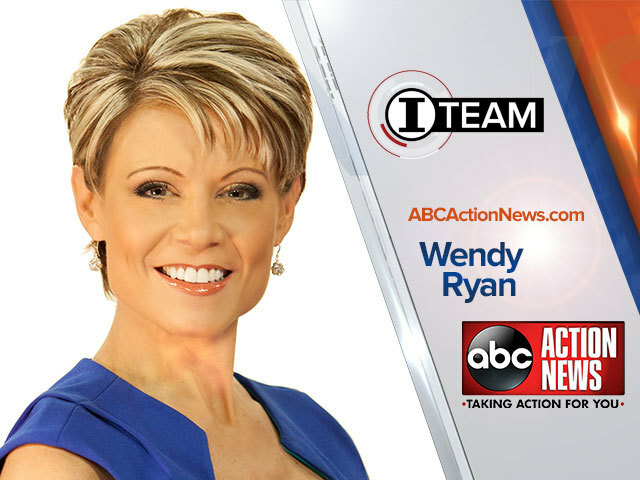 An Emmy award winning journalist, Wendy Ryan joined ABC Action News in April of 2003, anchoring the 5pm, 6pm and 11pm newscasts. Her Emmy nominated franchise known as “Dirty Dining” has been featured on Good Morning America, 20/20 and Last Week Tonight with John Oliver on HBO. She’s also part of the ABC Action News I-Team, doing countless investigations on food safety inspections through Florida’s Division of Hotels and Restaurants, Department of Agriculture and the CDC. For the last 10-years, Wendy co-anchored the Emmy award winning ‘Taking Action Against Domestic Violence’ campaign and Primetime Special. She’s also covered other major local events including: 2004 Tampa Bay Rays in the World Series, 2008 Tampa Bay Lightning in the Stanley Cup Championship, 2012 Republican National Convention and several years of live coverage of the Jerry Lewis MDA Telethon. During her career, Wendy spent almost 10 years in Los Angeles, California. She worked as an anchor/reporter for KWHY-TV, The Business Channel, covering the financial markets and interviewing top CEO’s from around the country. She then moved to Miami to launch her own national show with NFN, Net Financial News. Wendy has been profiled in ‘Broadcasting and Cable Magazine’ after her personal story with MRSA was documented and went viral on Facebook, as it was happening. In addition, her career has been profiled in Creative Loafing Magazine and Tampa Bay Parenting Magazine. Wendy also volunteers with several non-profit organizations and emcees countless events including the MDA Gala, FARA- Freidrich’s Ataxia Research Alliance Gala, American Cancer Society’s Making Strides Against Breast Cancer, St. Jude’s Hospital Gala, Humane Society Fundraiser, CASA-Community Action Stops Abuse, The Haven of Tampa Bay, Salvation Army, Lowery Park Zoo, Make a Wish Foundation, The Spring of Tampa Bay, Tampa Bay Ray’s ‘Family Fun Day’, Florida Hospital Gala, American Cancer Society’s Walk, Abilities Foundation, St. Claver’s School Fundraiser, Trinity School for Children Fundraiser, Hands Across the Bay’s Dancing with the Stars Event, & the FL Strawberry Festival’s Fundraiser and Fashion Show.